The path to independence isn’t easy for young people with differing abilities – but it becomes easier when there are people who will help. Most teens are a combination of excited and anxious to finish high school and move on with their lives. For youth with differing abilities, however, the worry of transitioning from school to adult life is magnified because they lose their safety net of support. Public schools K-12 are legally required to provide equal access to education. Support takes many forms and is available to children with learning and/or physical disabilities during the school years, up to age 21. After graduation or when students leave school, support ends. While federal law requires that students with differing abilities must have transition plans in place as part of their Individualized Education Programs (IEPs), there isn’t a mechanism in place to ensure the plan is followed after graduation. Suddenly, youths who received help to succeed are no longer automatically entitled to services. For those who go on to attend post-secondary schooling, the dropout rate is high precisely because of the lack of support for differing abilities. The gap between high school and living independently is one that a lot of youth fall through. Many differently-abled youth without a strong family support system lack the ability to discover job training and find and keep living-wage jobs, or navigate the complexities of applying for support services. It is often up to nonprofit organizations like Melwood to bridge the gap for youths transitioning to adulthood. For more than 50 years, Melwood has provided job training and opportunities for people with differing abilities of all ages in the greater Washington, DC area. Professional Development Training is a 12-week course that focuses on research-based instruction to engage participants in employability training and hands-on learning. The training gives individuals community-based experiences in careers that match their interests and helps each person complete an electronic portfolio and resume documenting those experiences. Pathways is a three-year program designed to assist individuals transitioning from high school onto the adult life path of their choosing. Participants prepare for employment at their own pace, engaging in community-based career opportunities, self-direction and advocacy and learning soft and hard skills. Melwood works with state services to provide one-on-one job development coordinators and customized on-the-job coaching for program participants. These supports have proven to be vital components for achieving permanent employment for youth with differing abilities. Melwood also contracts with federal, state and local governments as well as private businesses to provide employment for workforce development program graduates. The path to independence isn’t easy for young people with differing abilities – but it becomes easier when there are people who will help. You can be part of the support system helping youth transition to productive, contributing members of society by donating to Melwood Workforce Guidance and Community Employment programs. 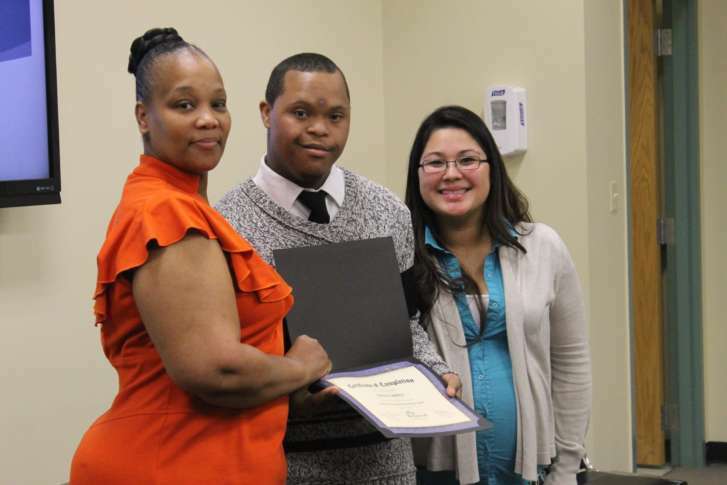 Local business owners interested in learning about employer incentives for hiring people with differing abilities can contact Chantay P. Moye, Director of Marketing & Communications at communications@melwood.org or 301.599.8000.